Get a complete solution with Bush Business Furniture's Easy Office 60"W x 24"D 4 Person Straight Desk Open Office with Four 3 Drawer Mobile Pedestals in Mocha Cherry for the perfect multiuser workspace. 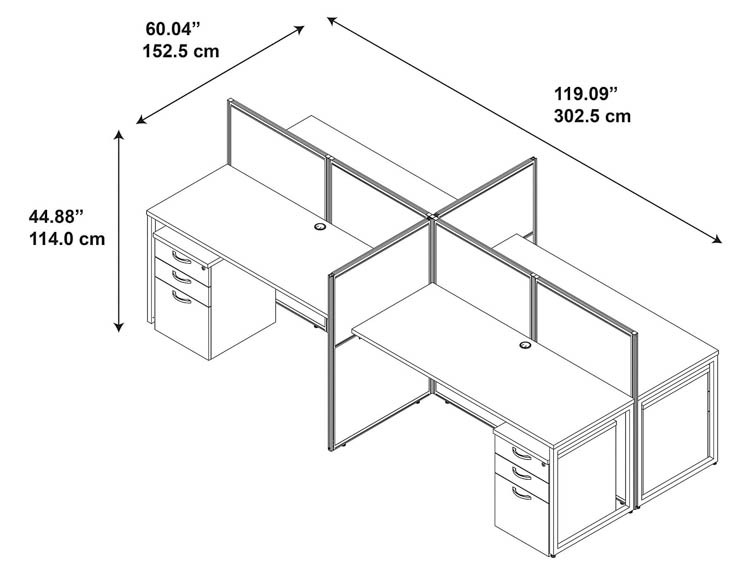 These preconfigured workstations combine four individual desk areas with a common panel wall and side panel dividers. 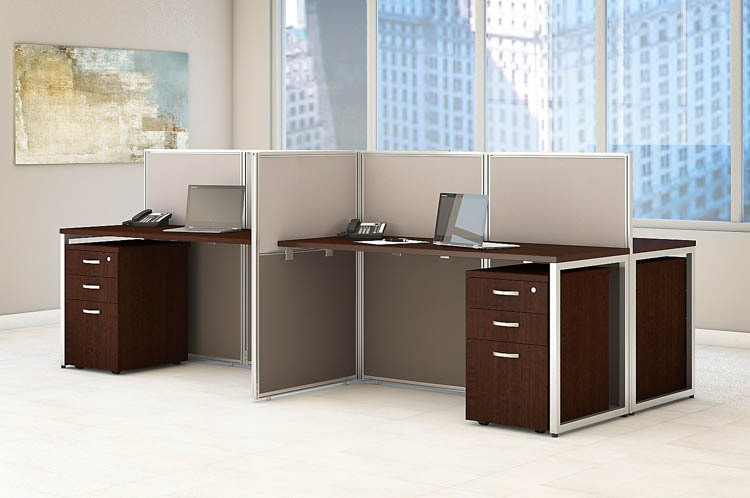 Each Easy Office Straight Desk attaches to sturdy, 45"H wall panels, as a barrier between spaces, with a side panel wall divider and an open side which encourages collaboration. The thermally fused work surfaces feature superior resistance to scratches and stains, with wire management grommets to keep cords organized. The attractive upholstered panels come in a durable Light Gray and Storm Gray two-toned fabric that compliments the rich warmth of the Mocha Cherry work surface. 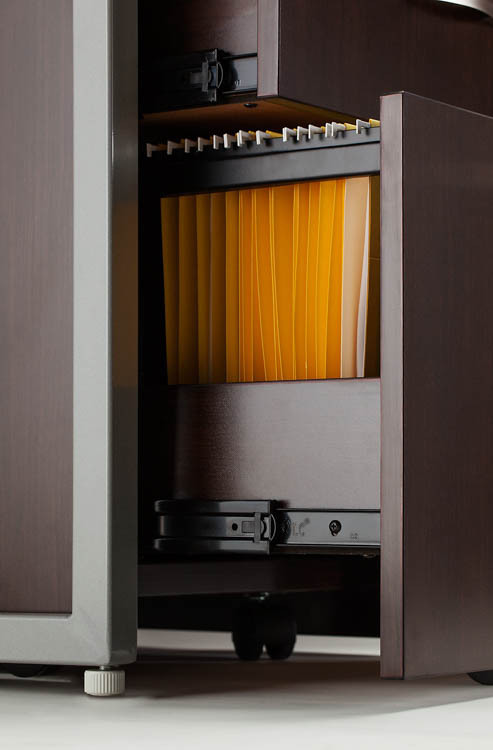 Includes four matching 16"W 3 Drawer Mobile Pedestals for storage with full extension ball bearing slides on all drawers for easy access. 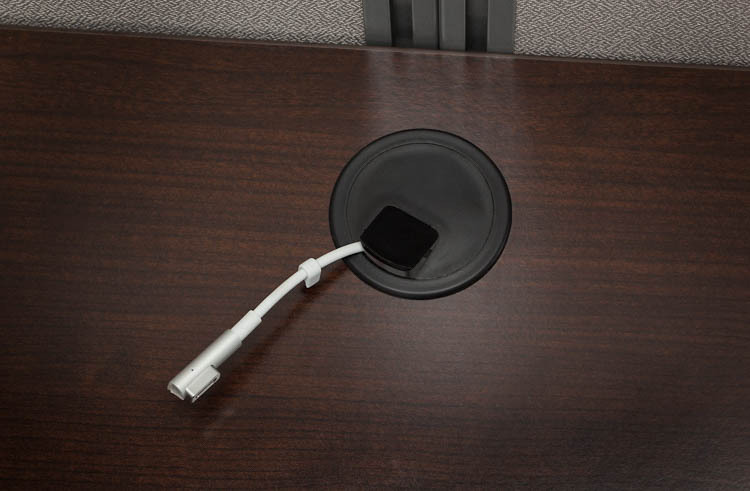 The Pedestals move easily on casters and fit under the desk to maximize space. Commercial construction meets ANSI/BIFMA standards for safety and performance. Easy Office's simple and sturdy design provides an uncomplicated approach to furnishing your office for one or for one hundred.